Jesus spoke: All authority has been given Me in heaven and earth. GO make disciples of all nations. Teaching them to observe all I commanded. I AM with you. This is the point we have come to with the Rabbi Jesus and His talmidin. The work of Jesus is completed once and for all. The Bible from beginning to end tells us all of the extreme love that God has for mankind, His handmade creation. It is the story of His love reclaiming a broken world. The Son of God has opened seas and made dry paths across the abyss for His people…He has ventured to crowded cities during Passover to heal and commission. He has climbed mountains, crossed angry seas, pulled men out of tombs, chased down paths, and built charcoal fires to bring one at a time to the true knowledge of the personal love that He has for them. We have seen the authority of Jesus proven by the Word of God. Jesus did not come to authenticate the Word of God; the Word of God authenticates Jesus. The Word of God is always the standard. Jesus, here is reminding the talmidin of that authority and that it still belongs to Him. It is because of who Jesus is that we can go into all the world and preach the Gospel, the Good News! Redemption is here for a broken, messy and needy world, so Go! “Go!” Right here, right now, the command is given! “I, the Rabbi, have chased you down, I know you see it! You came with Me and I set you free, removing the walls that kept you hidden, scared, confused and beat down. Now, GO! Where I found you, find others. 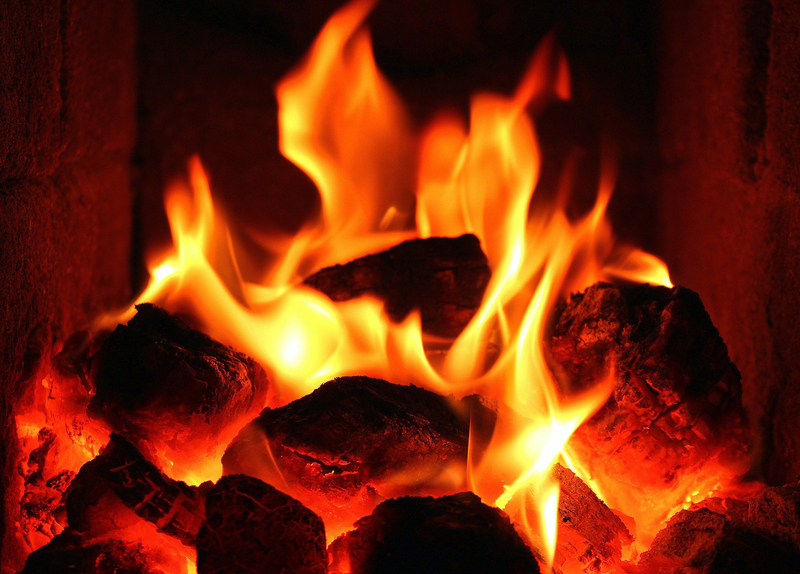 You now have the Story—the Gospel—burning deep inside your soul. It will propel you towards purpose—My purpose—to tell a broken world that the True Gospel has come! “Go! Go across streets, across towns, across borders, across seas, to hurting people who are living in tombs! Go even to people who may—or may no—hold your worldview! Go even into Decapolises! Embrace them with the True Gospel! GO! Call others to COME follow you, so that you can teach them what it looks like to follow Me. This means you may have to spend time with them and do life with them. This is the charge: Go everywhere and tell of Jesus. As you go to work, to church, to soccer practice and soccer games, reflect the Rabbi in all you do. Continue to be covered in the dust of the Rabbi. How do we do that when Jesus is no longer physically walking the earth? We are covered in the dust of the Rabbi by continually being in the Word of God. 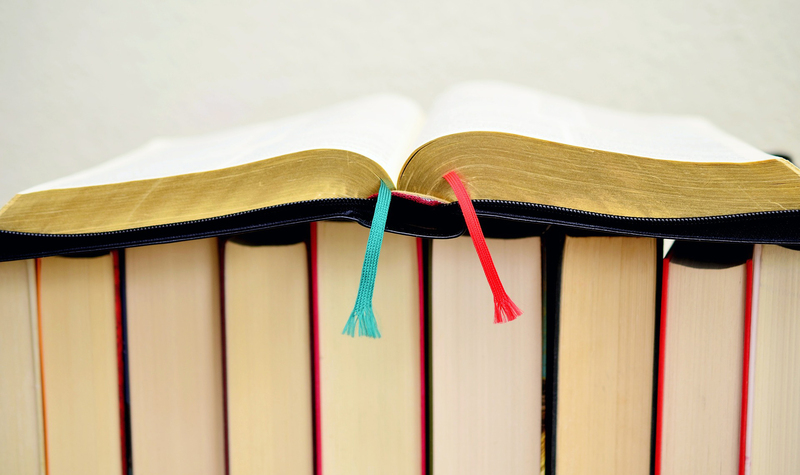 Often it’s the Word of God—our Bibles—that are dusty, and not us. The Word of God is the only thing that can transform lives. His Word is the authority, and it will transform your life to the purpose it was meant to have from the beginning of time. GO! “Being confident of this very thing, that He who began a good work in you will complete it” (Philippians 1:6). Dear talmid, please know that you were not delivered just for deliverance’ sake, but you were delivered for purpose—for impact! You have been #Delivered to #LIVEBOLD impactful lives! Jesus gave up His life so that we could have life and have it abundantly. GO! Step out—and stay out—of your comfort zone. RISK it all to GO! Go where the Rabbi leads you. It may not be necessarily where you want to go, or think you should go, but GO… press into faith. We have settled far too long for leading quiet, obscure, ineffective lives. We’re free! We are #Delivered to #LIVEBOLD unfiltered lives. COME! Be part of the story. Be covered in the dust of the Rabbi, and then GO! Don’t let anyone pour water on your fire. Go with passion. Where is it that we go on a daily basis? As we go, how are our lives mirroring Jesus? Which is more dusty in our lives, the Word of God, or us from being in the Word of God? Today I will spend time in the Word of God; and as He sends me out today, I will mirror Jesus to the world around me. Click here to join us tonight on Periscope as we finish our 2018 Evening Cove Bible study series, #LiveBOLD. 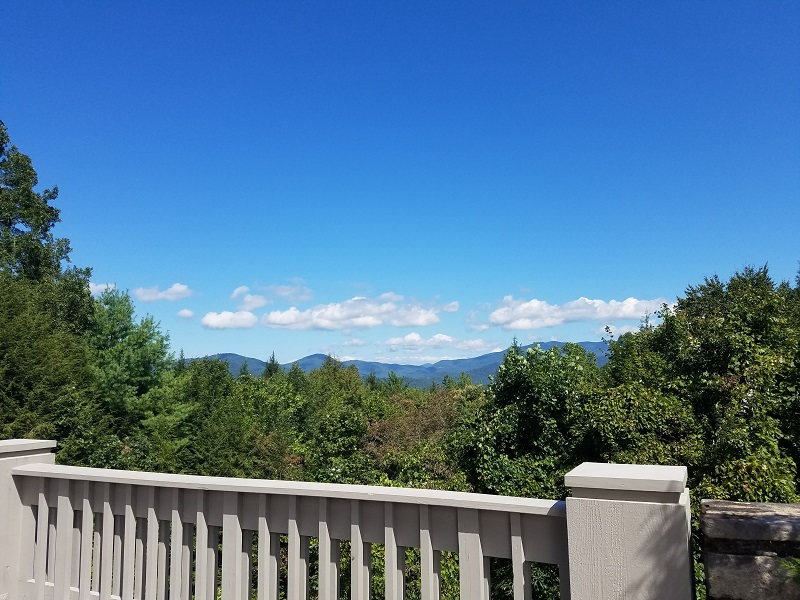 Click the link below to enjoy a poem written by Kendra’s twelve-year-old son, Quinn. The topic relates to tonight’s study content, and we know you’ll be blessed as you read! Was it not necessary for the Christ to suffer these things? He explained to them things concerning Himself in all the Scriptures. Martin Luther dusted off his red Bible and began his search to discover who God says He is, not who Luther assumed Him to be. An AMAZING discovery was found by the inquisitive monk: Jesus is the Word of God in flesh! The two disciples walking away from Jerusalem on resurrection Sunday were absolutely devastated. 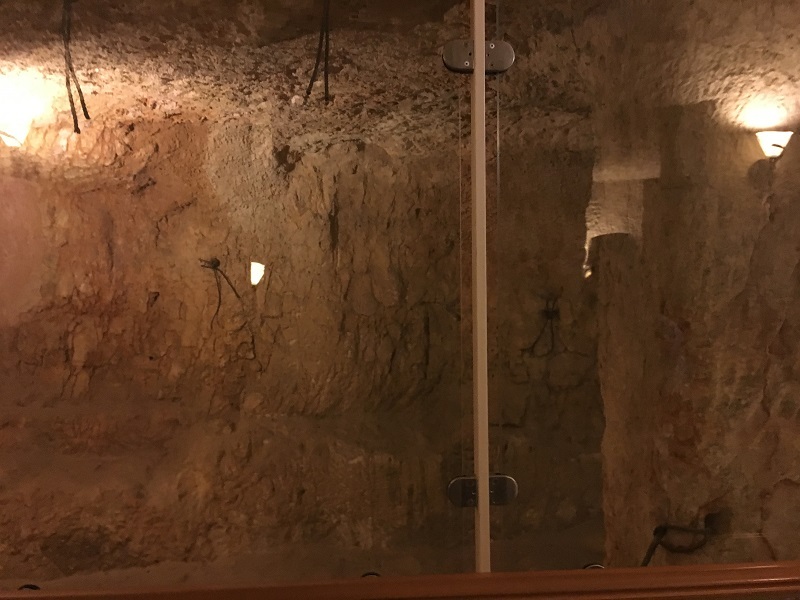 Rabboni, their Rabbi—the one they left everything for in order to follow—had been crucified on Friday; then on Sunday they had received the news that the tomb of Jesus was empty. Jesus was just gone. What in the world was going on? Was Jesus even real? What just happened? Had they really given up lucrative jobs, homes, and comfort to follow Jesus? These two men walking the road to Emmaus were labeled “disciples,” which in that day and culture, as we know from our studies, meant that they followed the Rabbi. They followed where the Rabbi went, listened to what he taught, and did what he did. Remember: Talmidin do not want to know what the Rabbi knows, they want to be what the Rabbi is. A talmid will give up his entire identity in order to be identified with the Rabbi. This was a lifestyle, not just a Sunday or Wednesday hour-to hour-and-a half. These talmidin believed Jesus to be the Christ, the Messiah, the King of the Jews, the Deliverer who had been promised since Genesis 3:15. On this day, they were beyond sad as they walked away from Jerusalem. Jesus had not delivered them at all. If anything, being identified with Jesus now would put them at greater risk with not only Rome, but also with their own leaders. With chaos, pain and suffering swirling around them, they did the only logical thing: they walked away. Jesus, however, was like no Rabbi was or ever will be. Jesus—the risen Jesus—on resurrection Sunday relentlessly went to these two disciples, not to chew them out, but to remind them of what they knew…. of Who they knew. Jesus was patient as He listened to all the reasons the men gave for why He could not have been the Messiah, Son of David. These men truly had proof that they had seen and heard. There was one problem: Jesus had died before He delivered His people, so they could only conclude that He was NOT Messiah. Jesus had crossed a churning sea for a naked tomb guy, had diverted through the busy streets of Jericho to hear a blind man preach, and had shone light in the darkest places. Here in Luke 24, this same Jesus walks seven miles out of His way to give the greatest message never recorded on why He is Messiah. The Good shepherd leaves the 99 (or the other 11), to hunt down these 2 unknown talmidin. Jesus did not chide the two weary disciples for not remembering what He’d said countless times; because Jesus does not authenticate the Word of God, the Word of God authenticates Jesus. All the words Jesus spoke were now in limbo anyway. Could they be trusted as Truth? So AD FONTES Jesus went. The men and women of that day were VERY well versed in the Word of God. By the age of twelve, most boys and girls had memorized the first five books of the Bible, and most had huge portions of the prophets memorized as well. Without tablets, iPhones or iPads at the touch of a finger, they had to put to memory the precious Word of God. Often we interpret who God is through the lens of our circumstance, but here, Jesus would look at who God is, then see what that does to the current circumstance of these talmadin. WAAAAIIIITTTT a MINUTE!! Oh! Oh! Oh! And then they saw. The Truth of God’s Word may not be what we want to hear. We may not like it. But it points to Jesus. The eyes of the talmidin were opened and they saw through BELIEVING the Word of God, not through believing what they thought the Word of God should be. As the Truth grabbed hold of these men, they realized that the grip that sin had on them from the beginning was broken. The enemy had bruised Jesus, but Jesus had crushed the head of that other king from that other kingdom. They were delivered from the grip of sin, redeemed beyond Rome, redeemed for eternity. Sin had been conquered on the cross and death at the grave! God’s wrath was met; and at the same time, His mercy was given! “The GRAVE is empty” was no longer a message of sadness and confusion, but a message of JOY and clarity: Jesus is Messiah, Son of David, Son of the Most High God. Who else would suffer through those things that MUST be done to bridge the gap of sin except God Himself! God came Himself with skin on, and His name is Jesus. The Truth of the Word of God set a BOLD direction in their lives that could not be tamed. When have we settled for looking at God only through the lens of our circumstance instead of looking at who God says He is and then looking at our circumstance that way? How often are we in the Word of God vs. the word of commentaries, pastors and Bible study teachers? If I want to #LIVEBOLD, I must be in the Word of God and allow the Truth of God’s Word to settle in my heart and drive my steps. Do the Three Questions on John 21. P.S. Ladies, there are two more weeks of our evening Women’s Bible Study at The Cove, and hope you’ll join us! Register online today. Can’t make it in person? We’ll be streaming LIVE each Tuesday evening on Periscope, via Twitter, where you can watch from the comfort of your own home. Make sure you don’t miss a post, just enter your email in the “Subscribe Via Email” box in the upper left-hand corner of our blog. It’s free and you’ll receive these posts straight into your email inbox. Being aroused, He rebuked the wind and said to the sea, “HUSH!” The wind died, became calm. Why are you so timid? How is it you have no faith? Rabbi Jesus in verse 35 tells His talmidin “Let’s go to the other side!” They had just sat through a day of extensive teaching and were probably ready to enjoy a late lunch and to bed down for the night. Jesus was not done. That phrase “the other side” sounds innocent enough, doesn’t it? Well, it was a bombshell to those talmadin. Most of them were experienced fishermen, so navigating across the 3-mile Sea of Galilee was not going to be the issue… the issue was that they despised everything about the “other side.” The other side was—well, “the other side”—the Roman side… the side that worshipped Caesar as god. They offered food to idols and incense to false gods. They ate… pigs! The other side and their customs were hated by God, so they were hated by the talmidin. Now, Rabbi Jesus is saying to go over there? Who was this Jesus? These talmidin more than anything wanted to honor God and serve Him, YHWH—a name they would not even utter because it was so holy. Now they were to go over to the other side? Into the filth? Into the chaos? Into the mess? Were they not to “Be holy as I AM holy?” Was Rabbi Jesus asking them to do something that went against God’s commands? Yes, this was what they believed: Jesus was wrong. The problem was… Rabbi Jesus was just that: Rabbi; and if He was Rabbi, then they were to follow, to obey. Do you feel the tension? We so often read these stories and miss the conflict because we know their ending. But let’s pause in the middle of this account and feel this tension. Feel the doubt. Feel the enormity of the decision that lies before them. Can you relate to this in the least? Have you ever questioned God and where He was leading you? It made NO SENSE! It actually went against everything you said you would ever do?! I can feel it. I question God all the time, unfortunately. The disciples got into the boat and began the journey over to the other side. Immediately the wind and waves tried to kill them. The disciples did all they could do to save themselves; they bailed water, they worked hard and then harder. They worked to the point of exhaustion; and where was Jesus? He was asleep. Exhausted from the day of teaching. Jesus was sleeping in the stern, which is where the boat is steered from. Funny, isn’t it? If they wanted to change course, they would have had to physically move Jesus out of the way, because the steering column is in the stern. The talmidin had exhausted all their sailing skills. They were at the point of death. SO THEN they woke up Jesus…. their last option. Honestly, I think they woke Jesus up to give Him a bucket so He could help with the bailing of water. 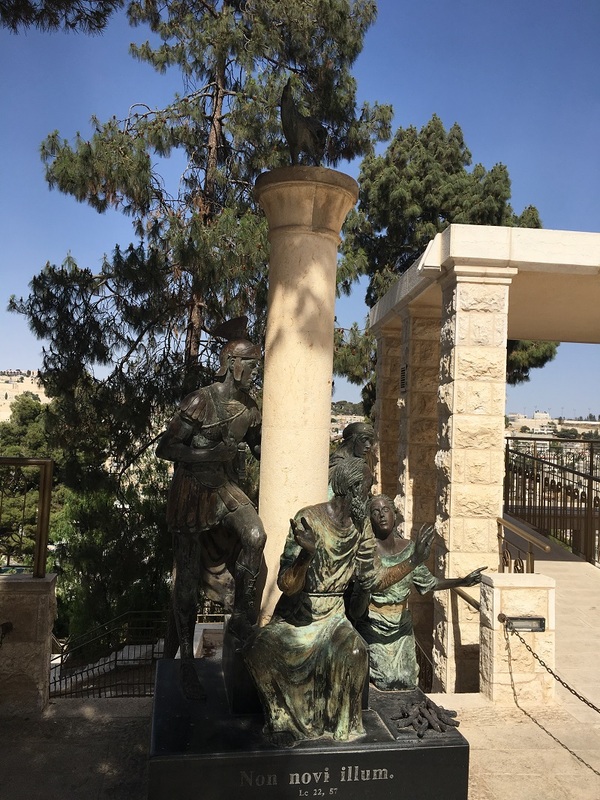 “Don’t you care that we are going to die?” The Rabbi was supposed to care completely for the talmidin, so they were accusing Jesus of sleeping on the job. I don’t think they woke Jesus up with the expectation that He would hush the storm; I think they woke Him up to help them in their efforts. Why do I think that? Because that is what I do. I think the talmidin were thinking how wrong the Rabbi was in asking them to go to the other side, and they didn’t want to outright say that. “Look! Rabbi! We are following YOUR orders… look where we are! We are going to die!” At that moment the disciples doubted everything Jesus had said. They doubted who Jesus was. Jesus was in front of their face and they doubted?! Again, sounds exactly like me. The talmidin were men of the Book… they KNEW God’s Word—most of them knew it word for word. The word Jesus used, “HUSH,” was a big deal. 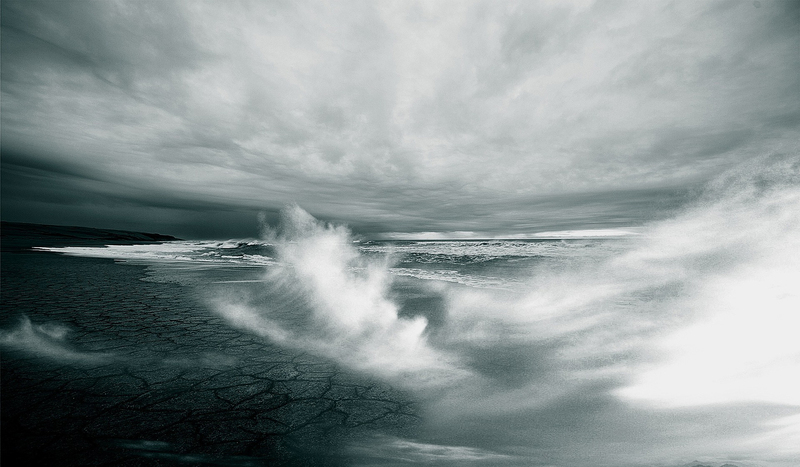 YHWH “hushes” the sea… and calms the storm…. and when His own cry out to Him, He answers. If God hushes the sea… is Jesus God with skin on?! Ahhhh, now that is the question each of us from the disciples on have to answer, isn’t it? Rabbi Jesus was relentless for the other side, but He was also relentless for His own talmidin to believe Him. God has not changed. He is still doing the same thing today. God will often call us to places beyond our logic, beyond our desire, and beyond our ability, so that He can show us that He is God—more than that, so that each of us will proclaim, “Oh God, you are my God” (Psalm 63:1). When has God called us to a place beyond ourselves? Beyond where we wanted to go? Beyond where we could go on our own? What adversity have you encountered in the process of being a talmid and following the Rabbi? When have we doubted that God really cares about our well-being? When has God provided a way for you when there was no way? Today, I will choose to be a disciple of the Book. Today I will follow the Rabbi where He leads and go to those to whom He leads me. P.S. Ladies, you can still join us for our Winter Women’s Bible Study at The Cove! We meet each Tuesday evening through February 20th. Register online today. Many were sternly telling him to be quiet; he kept on more. Son of David have mercy on me. Bartimaeus was blind, so he lived a life of begging for scraps to stay alive. One day Bartimaeus (we’ll just call him “Bart”) heard with his ears that Jesus was walking through Jericho. There sat Bart, begging at the back gate as people left the city on their way to Passover in Jerusalem. Jesus was on His way to Jerusalem as well—to the Last Supper and to Lazarus, who had been dead a few days. Suddenly Bart began to yell, “Jesus, Son of David, have mercy on me!” (Mark 10:47). The crowd did not like this, because they could not hear the teaching of Jesus; all they could hear was the shrieking of an unimportant, forgettable blind man. Oh how they wished Bart would pipe down! They pressured him to stop; he did not. The crowd continued all the more to pressure Bart to quiet, but he refused. What was blind Bart saying? I argue the reason Jesus even went through Jericho—and not around the Jericho bypass (especially with Passover looming)—was because blind Bart was the message. Jesus went through Jericho for two reasons: First, to gather a crowd to hear Bart’s message; and second, to heal Bart. Bart was saying, “Jesus, Son of David.” This was a BIG deal. Bart was telling the Jewish crowd on their way to Passover that Jesus was the Messiah. This very statement would be what the Sanhedrin would use to crucify Jesus in the next week or so. This was a BOLD message, and Bart was preaching this message in his darkness. The crowd bullied him to stop. Yet Jesus didn’t stop Bart’s message, nor did He stop the crowd from pressuring him. Did you ever think about that? Jesus allowed Bart to be bullied into shutting his mouth. What would Bart do? Why would Jesus allow that? Last week we noted that when God delivered Israel out from under the thumb of Pharaoh, He led them to the desert. Why? Deuteronomy 8:2 gives us the reason: “To test them to see what was in their hearts.” So God would know what was in their hearts? NO—so that Israel would know what was in their hearts. Marah—bitterness—was in their hearts, and God needed to deal with it. What was in Bart’s heart? A message of hope. “Have mercy on me!” Bart had the hope of healing because he knew who Jesus was. Even if Bart had not been healed, it would not have changed the fact that Jesus is Messiah. Even if Jesus ignored him, even if Jesus walked by or would not defend him in a crowd that was yelling at him, Bart’s message did not waver and did not change. What would make your message waver and change? Bart would preach Jesus Messiah. Bart was the message. Perhaps Bart begged often in the courts of Jericho’s synagogue, hearing the teachings of the Torah and scrolls of the prophets. With his keen sense of hearing, Bart connected the dots of Messiah better than those who had seen Jesus do countless miracles. Bart, being blind, knew his own desperation and need for Jesus. When Jesus walked by, Bart’s message could not be taken from him. In his darkness, in his blindness, in his pain, Bart preached until he was heard. Tested in his heart, and in spite of being ignored by Jesus and bullied by the crowd, Bart continued to preach Jesus Messiah. He continued to plead for mercy until he received it. Jesus stopped (verse 49). Bart’s faith stopped Jesus in His tracks. Then Jesus, through the crowd beckoned Bart to him. Cruel? Seriously. Think about it. The crowd is mad and annoyed at Bart. Jesus is not right beside him, obviously, because He “beckons” him to come (49). Bart is blind, and Jesus is asking him to weave through a crowd? I love that it doesn’t matter to Bart. BOLD Bart gets up, leaves everything he owns in the world, and takes that first step. I’ll bet there was help after that first step was taken. It’s the first one that seems so daunting, so impossible–so cruel even. But God will make a way when there is no way. Bart believed this. Jesus did not promise Bart healing; Jesus only called to him. Yet Bart left everything just to be in the presence of Messiah, knowing Jesus would take care of the rest. What faith! Blindness in the end is not what Bart is known for; we remember him today for his BOLD belief. When have we been tested to know what is in our hearts? Did we press into belief, or raise our fists in “Marah”? What has caused our message of Jesus to waver and change? Culture? Pressure for tolerance? Scientific data? How is our belief known to the world around us? P.S. Ladies, our in-person Winter Women’s Bible Study at The Cove is now underway, and it’s not too late to join us! Let’s get together Tuesday evenings in January and February and dig into the Word of God. Register online today. 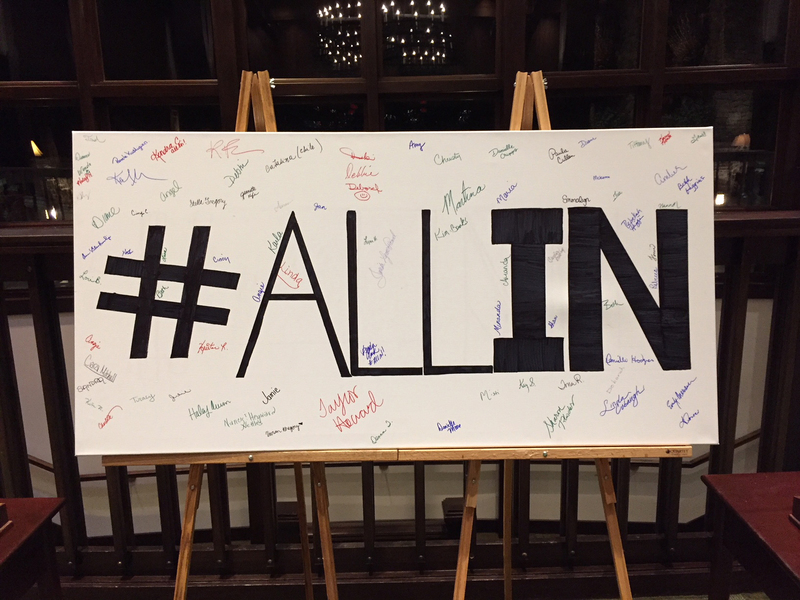 Saturday Snapshot — Register for 2018 Seminars & A Prayer Request! Our 2018 seminars are online now and open for registration! Whether this will be your first time with us or your 100th visit, we hope to see you in 2018. 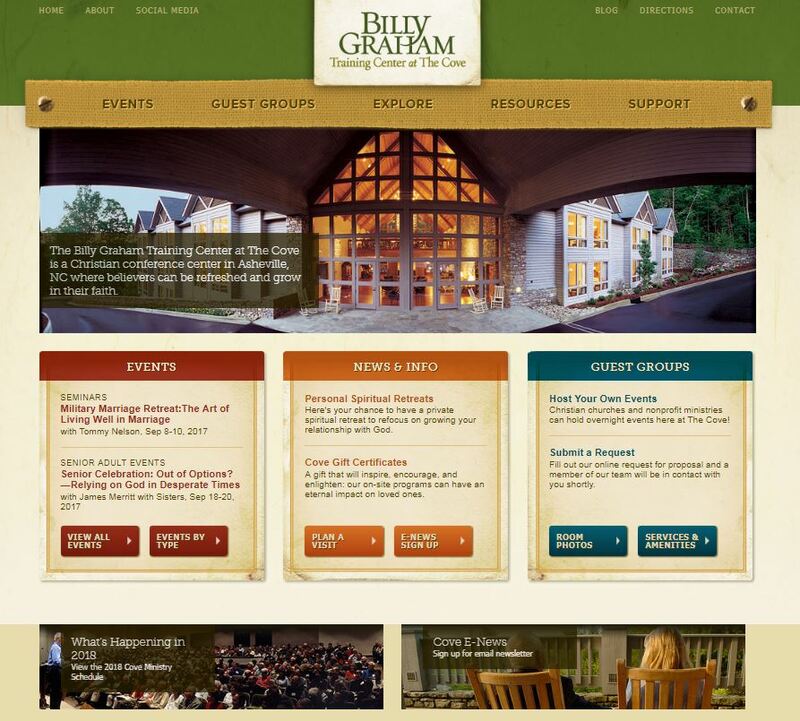 Click here to visit our website (below). 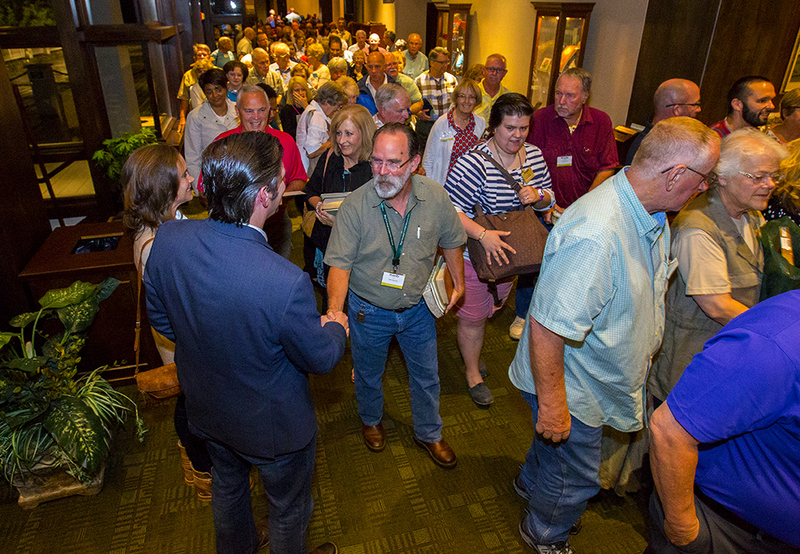 As you look through the 2018 lineup, you will notice that not all seminars have their titles or descriptions yet, just dates and speaker names. This information will all be fully updated by November. On another note, we have 50+ military couples with us this weekend for the Military Marriage Retreat. Will you please join us in lifting them in prayer? These military families are faced with circumstances that many of us could never imagine, and we are blessed to be able to serve them well while they are here. Holy Spirit, fall on this place! 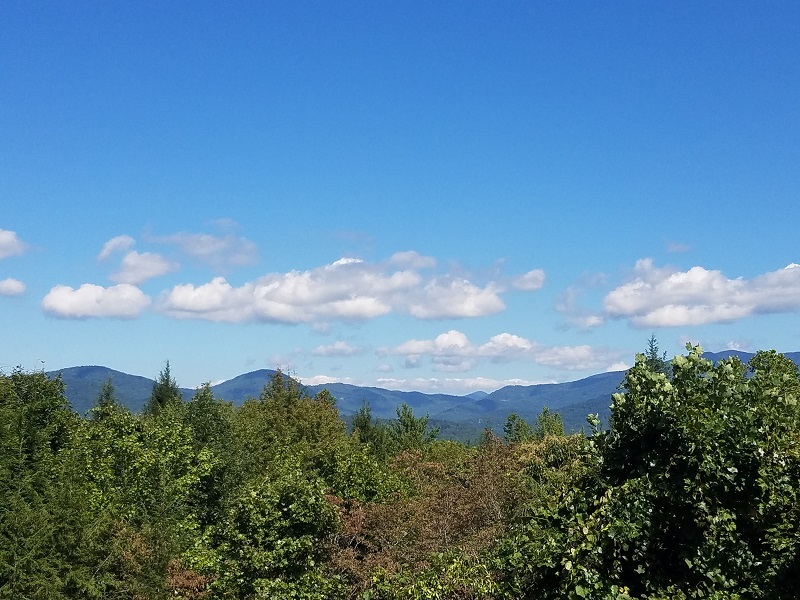 We expect clear skies and temperatures in the low 70s this weekend. 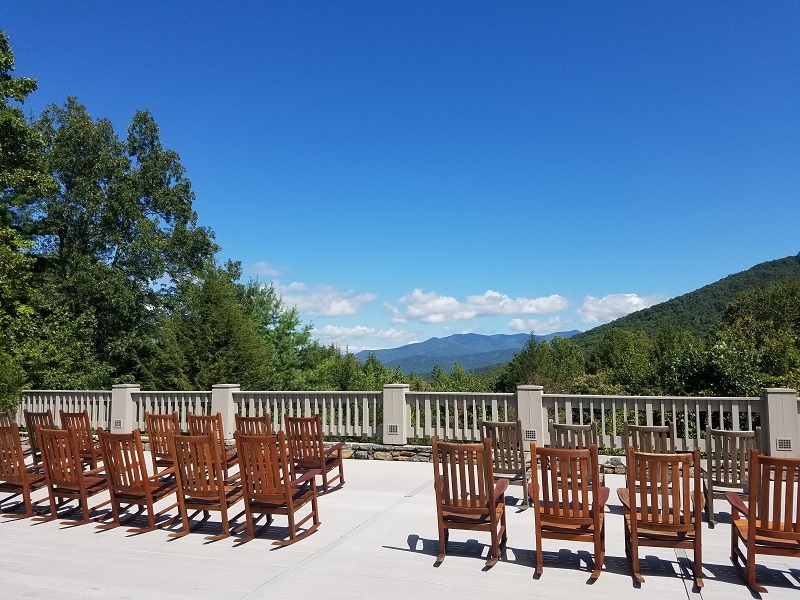 Perfect weather for the Race To The Top — a 4-mile race from the chapel to the overlook that our military guests can participate in. 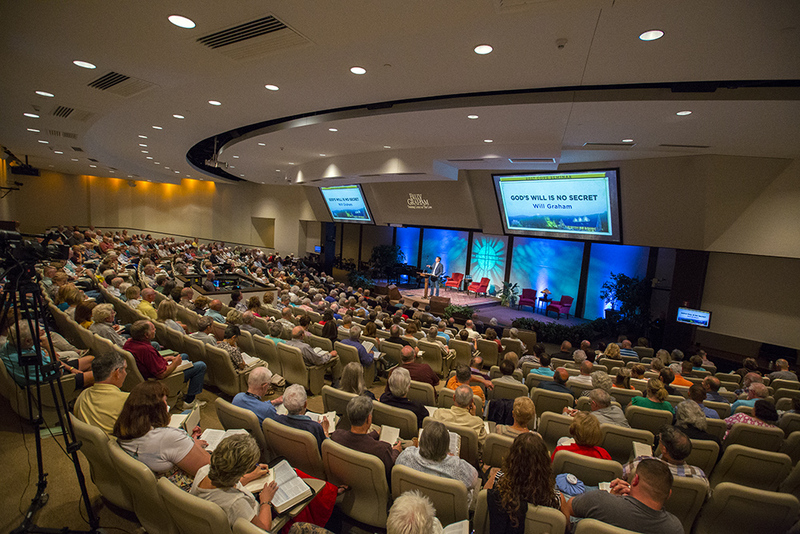 Are you a Christian church or nonprofit ministry looking for a place to hold your conference, retreat or ministry event? Get more information on holding your event at The Cove. 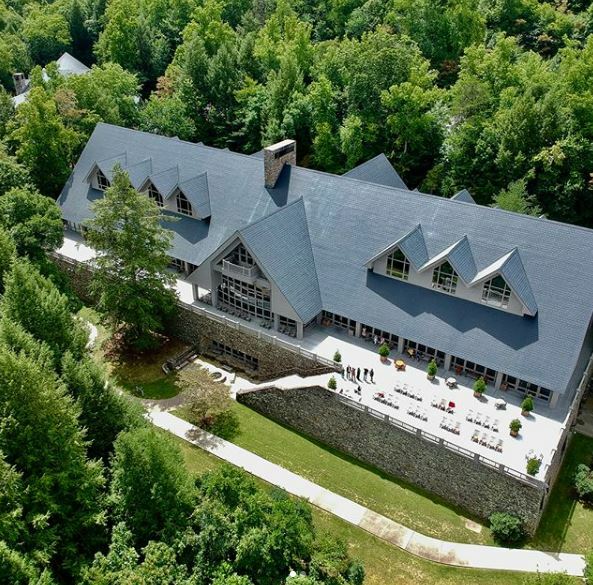 Find a schedule of seminars, concerts and retreats at The Cove in beautiful Asheville, N.C.
Visit the Chatlos Memorial Chapel, Visitors Center and Ruth’s Prayer Garden. Tours are free. Since we have a great cloud of witnesses surrounding us, lay aside every encumbrance and sin and let us RUN with endurance the race set before us. Fixing OUR eyes on Jesus, author and perfecter who endured the cross. The “circus” at the Vatican. I’m going to be honest with you, I was ignorant on the history behind where the Vatican stands. The area of the Vatican was known during the Roman Empire period as Ager Vaticanus. It was a marshy piece of land where villas were built and the Emperor Caligula had beautiful gardens built for his mother. The Emperor Nero added to it and built an impressive “circus” in the midst of the gardens. What is Nero’s Circus you ask? Well, it was a horse track, of sorts. There was an arena built around a track for charioteers with horses. In the middle of the track, there would have been a narrow strip of land, an isthmus of sort, that would have been adorned with obelisks or statues of the gods. The obelisk in Neros Circus was one single piece of red granite weighing more that 350 tons! There were tunnels on either end of the stadium for the horses and athletes to come out, and there were seats for the onlookers. There would have also been a section of “box seating” for the Emperor. When the charioteers would come out, they would come to the box where the emperor sat and would pay homage to him, showing the crowd that they train and run for the emperor. The crowd would cheer and chant the praises of the emperor, declaring his deity. Often the emperor would address the crowd, being adorned in a sash of the god Apollos or Zeus, showing the crowd that he was a direct descendant from the gods,and that he had the authority as the son of the gods. Can you see this imagery? The Vatican, in all it’s glory. Do you see the statues of the 12 disciples at the top? They are life-size. 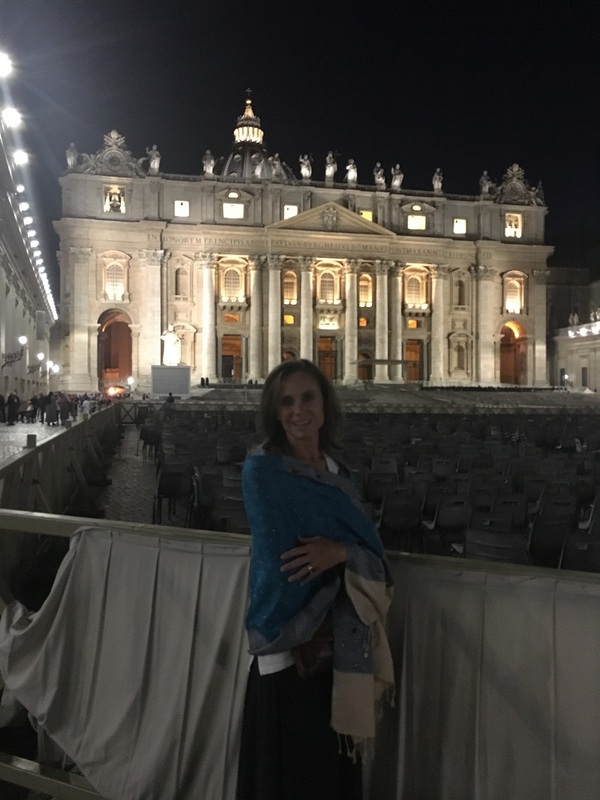 Here I am in front of the Vatican! With the emperor watching, these charioteers dressed in white robes, would have driven their horses in such a way as to win the race. There would be nothing left in their tank, lest they be seen as a disgrace. The point of these games were to declare to the world that Cesar is god. 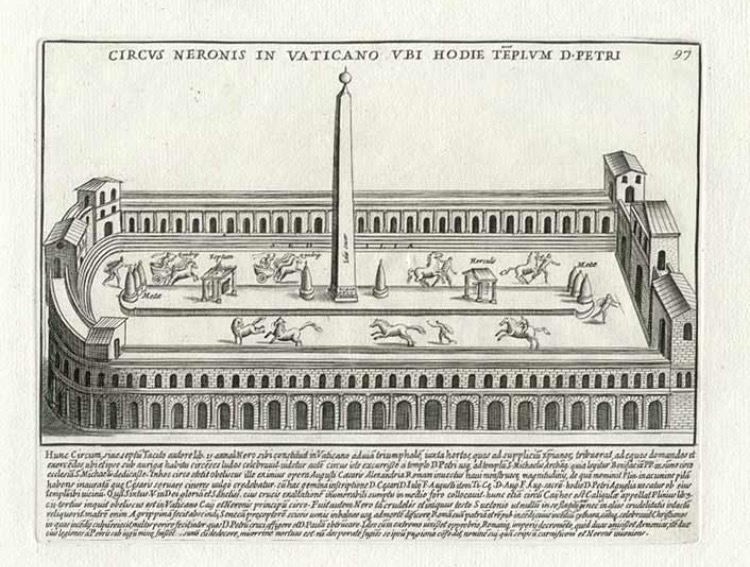 This circus, Nero’s Circus is historically where the disciple of Jesus, Peter, was crucified upside down. Peter was crucified at Ager Vaticanus. I did not know this. Understanding what Nero’s Circus is, has given Hebrews 12:1-2 a deeper meaning. We have been chosen by God to walk out of that tunnel for Him! Our run in this life, declares to the world–not that Cesar is God, but that Jesus is God! The writer of Hebrews is using arena language here! A language that the people of the time would have understood. This walk with Jesus, is an Olympic event. Our walk, our RUN, declares that Jesus is King of kings and Lord of lords. This idea of discipleship is not just something on our Sunday schedule! It’s a BIG DEAL! So RUN! Run #propelled2purpose. RUN! Since we are surrounded by a great cloud of witnesses, we do not have the luxury of just walking it out, or running with reserve left in our tank. RUN with perseverance the race set before us. Each of us runs a different race, at a different pace, but for the same King. The way we live and the way we run matters to a world that is looking on! It will take perseverance! Will it be hard? Yes. Will you have more excuses than you can count to bail out and quit? Yes. Is it worth it to stay in the race and finish well? ABSOLUTELY! RUN this life, your life, with purpose, where you are. Press in, not out. I Corinthians 9:24, “Don’t you know that ALL the runners run, but only ONE gets the prize?” SO RUN like you are going to win it. Your run…my run in front of our cloud of witnesses shows the world that JESUS is KING! SO RUN! My cloud of witnesses include many people along the way who have shown me what it looks like to run their race for the True King. These cloud of witnesses who have gone before showed me how to live Jesus to the cloud of witnesses in my race who sit and stand watching what I will do. I think of my middle school soccer team, my co-workers, my patients and my own children. My cloud of witnesses who taught me are different from yours, and the crowd of witnesses watching me are different as well. Our races are different, but our finish line is the same. STOP holding back! Peter did not hold back. 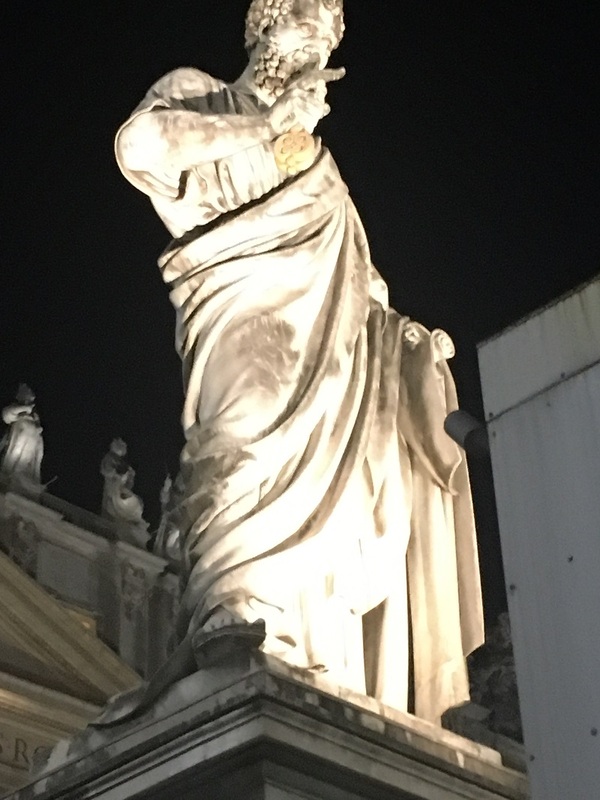 In front of his great cloud of witnesses, Peter, who began the summer needing to be restored because of the denials that were in his past, the guilt and shame that could have ended his race all together, ends well… here… at Nero’s Circus. Caligula and Nero both thought they had built things that would forever stand to prove their deity, however today, centuries later, not many remember or have any idea whatsoever that those prestigious charioteers once raced for the pride of the deified emperor at the Anger Vaticanus. 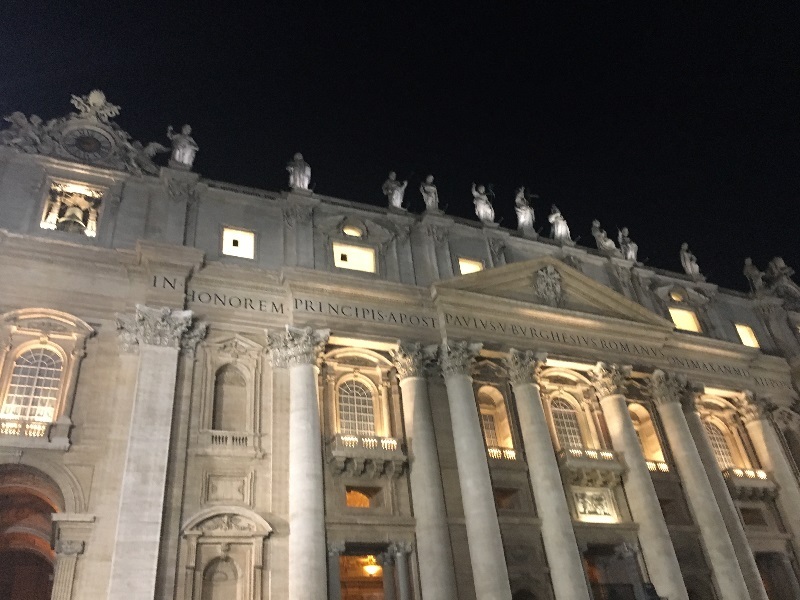 Today, at the Vatican, most know that beneath the marble floors of the Vatican and Sistine Chapel lies a foundation where so many Christians finished their race, “ad mairoem Dei gloriam,” meaning: to the glory of God. A foundation for the church that has lasted through the centuries. “Upon this ROCK (Peter) I will build my church… Mathew 16:18. Think about that… don’t be so quick to move on. Think about what the Vatican is today. There is not a shred of emperor worship left at “Nero’s Circus”, but the testimony of Peter still stands with strength to the glory of God. So let’s RUN today and not hold back regardless of the heat and humidity as we FIX our eyes on Jesus. RUN. 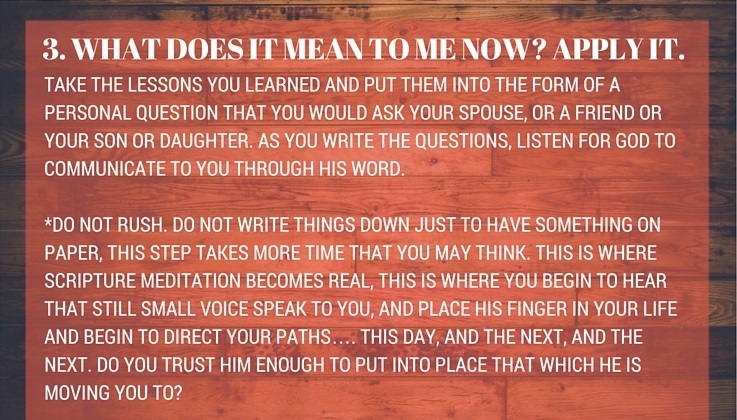 Who are the witnesses in my life? Name the cloud of witnesses that have poured into you… both living and deceased. What are the names of those watching your race who need to see you live out the fact that your life has purpose given from the hand of the King of kings? How are you running? Would others describe you as one who runs each day with reserve in your tank or abandoned unto God? TODAY… strengthen my feeble knees, aching feet, and hurting hips to RUN in such a way to bring joy to my Savior. FIX my eyes on Jesus…. fix my eyes on my current race, not the race I wish I had or want to have, but the actual race before me. 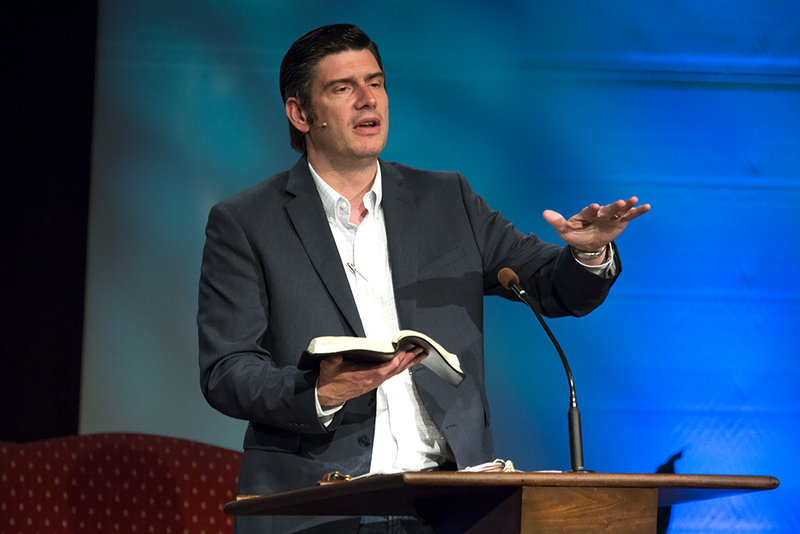 Will Graham taught on 1 Samuel this past weekend, at The Cove. From the disobedience of Saul, resulting in the loss of his position as king, to the anointing of David, a young shepherd boy, to the famous story of David and Goliath, Will taught how God’s Word shows us how to abide in HIS presence, grow in courage to obey HIM, and experience a life of adventure. This is what happens in the green room before a seminar or concert. Will, his worship team and emcee asking the Lord to speak. 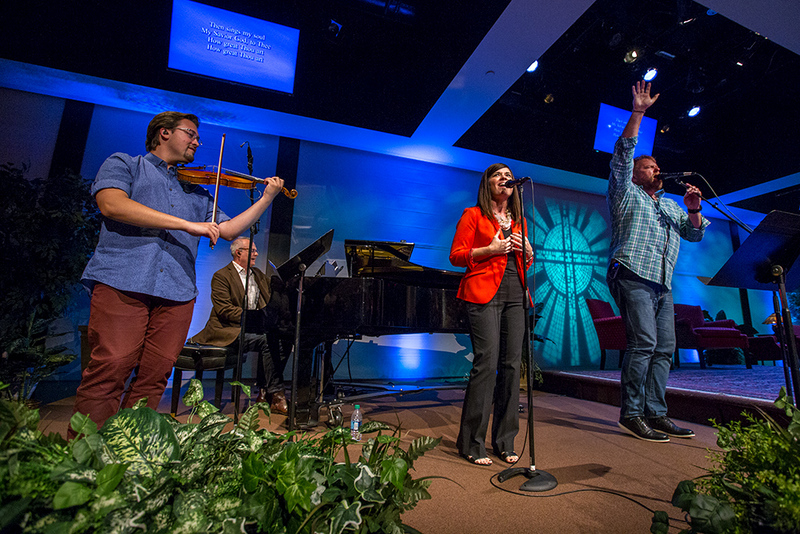 Worship with Mark Christian (far right), Gina Kingsmore, Richie Kingsmore (at the piano), and Kameron Myers on the violin. While Will serves as Executive Director at The Cove, he has also been called to teach God’s Word and share the Gospel around the world. Will and Kendra Graham greeting seminar participants. 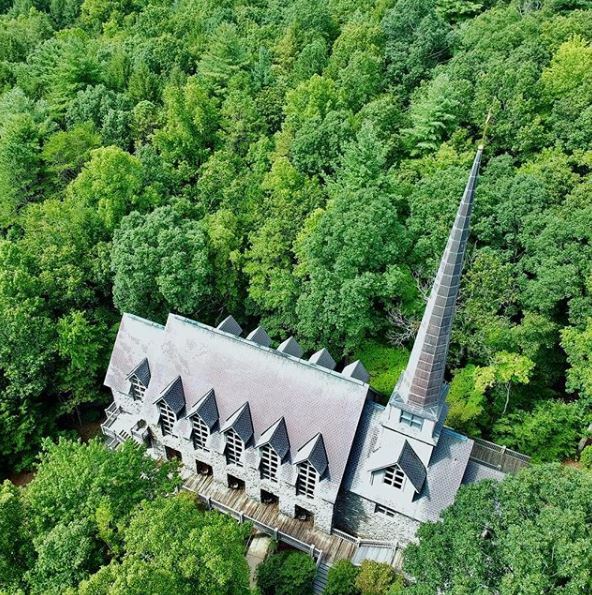 After the seminar, worship leader, Mark Christian had some fun with his drone and captured a birds-eye-view of both the Training Center and the Chapel. If you’d like to attend Will’s seminar next year, he will be teaching August 10 -12, 2018. You can register for 2018 seminars beginning next month (September 2017). They sailed to the country of the Geresenes, opposite Galilee. When HE came out on the land, He was met by a man from the city, possessed by demons, living in the tombs. Seeing Jesus he cried out and fell before Him, “What business Jesus, Son of the Most High God? Do not torment me.” He commanded the unclean spirit out. 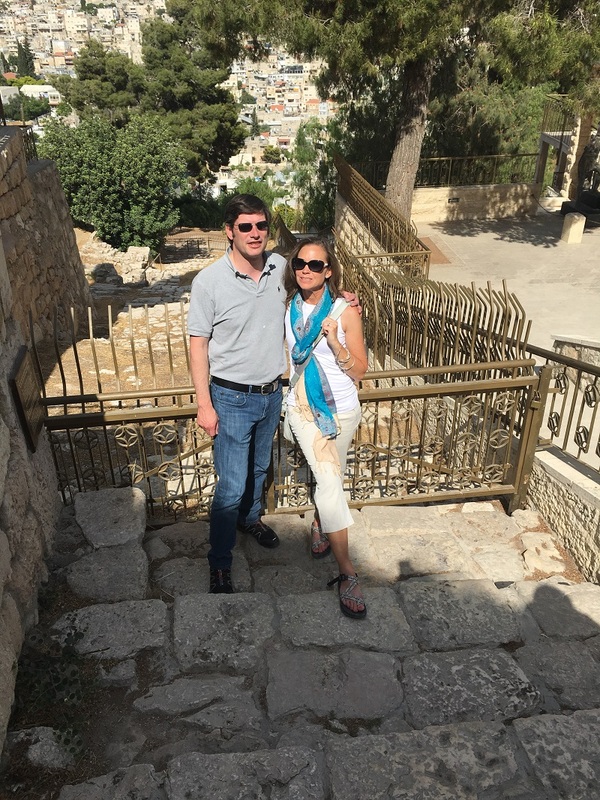 The disciples and Jesus had just left their city of Capernaum. Capernaum, and the people there, took very seriously the commands and the Word of God. The people strived to be separate from the encroaching Roman world and stay true to God; however, this day, Jesus tells His disciples to get in the boat and go to the other side. This is a BIG deal for them, because you see, they would have NEVER gone to the other side. The other side was where the Decapolis was, a Roman territory. The Roman world was a pagan world, a world with many gods, the head god being that of Caesar Augustus (Octavian) who was said to have descended from the gods himself. Octavian was literally referred to as the “son of god”. 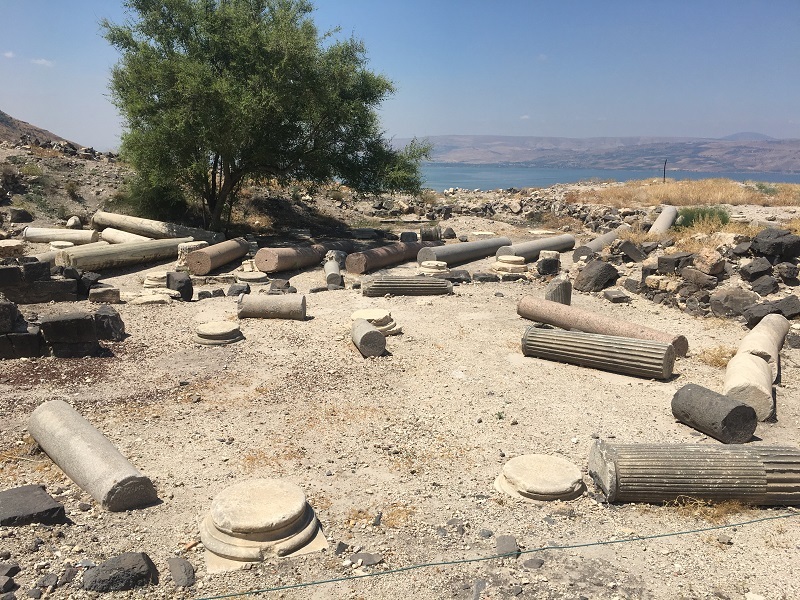 Ruins from the old city of Decapolis. The “other side” was enemy territory… yet Jesus was getting in a boat to go and seek and to save ONE lost sheep. En route, there was a terrible storm where the disciples thought they were going to die, but Jesus calmed the sea with a word. The Word of God is powerful. The boat safely sees the shore in the country of the Geresenes, opposite Galilee. Everything on this opposite shore is opposite…. not just the location. Verse 27 says that Jesus came out of the boat on to the land and immediately he was met by a man who is running around naked and living in the tombs. I wonder if the disciples watched from the boat, because it does not clearly state whether they ever got out of the boat of or not. If I was a disciple and saw Jesus get out of the boat and then saw this crazy naked man who lived in the tombs run up to Him…. I would have stayed put. You see THIS is why we are not to go to the other side! This clears it up! It is for our safety! We will always have plenty of reasons why we should have stayed home. Legit reasons! BUT GOD…. driven by His relentless love for His handmade creation will not be deterred, detoured or distracted. Our lives are messy and many of us are left in shambles from a harsh world, but Jesus is driven to get out of the boat and come to us regardless of all the reasons He should stay away. Tombs would have been in caves like this one on upper left side of photo. The demons who are residing in this man immediately know Jesus. Isn’t that something? The demons don’t wait for Jesus to flush them out, but in the name of Jesus–the Son of the Most High–the demons named Legion actually try to command Jesus to leave them alone! How about that?! Even the demons know there is power in the name of Jesus! The demon possessed man is healed. The demons ask to be sent to a herd of pigs, which Jesus allows, and they cast themselves into the sea. 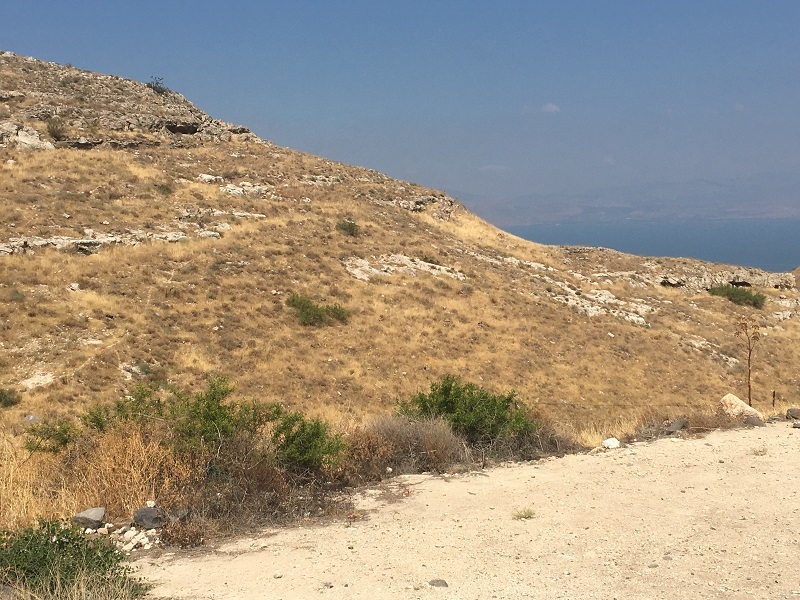 In verse 28, the man who is healed asks Jesus if he can go with Him, but Jesus sends him back to share his story to those living in the Decapolis. The man returns proclaiming Jesus to that Roman territory. Think about this entire scene and what the disciples are witnessing. The disciples are charged to go to a place they thought God told them to stay away from. They get in a boat and have immediate opposition which they could easily interpret as God saying, “GO BACK”… yet just as they are about to abandon ship, Jesus stills the storm. They press on. The boat lands on the other side and immediately there is a crazy naked man who is screaming at them. WOW. Surely God did not want them to come here, right? BUT GOD… the Son of the Most High, gets out of the boat and goes TOWARDS the crazy tomb dweller. The demons believe Jesus is the Son of God… the disciples are still hashing it all out. Jesus heals the demon possessed man and then sends him back to the Decapolis. (Don’t you know the disciples had to be relieved when Jesus said the naked tomb dweller could not go with them?!) Then Jesus gets back into the boat to go back to Capernaum. What risk for ONE lost sheep! What will those say on the other side when they return? This could definitely be bad PR! Would it have been worth it for you or me? I don’t think I would have risked all that for a crazy tomb dweller… and then I would have missed the miracle. Later, when Peter in Acts 10 is directed by God to visit Cornelius, he finds there a group of believers who receive the Holy Spirit in the same way as the Jews had. During this visit of several days, we can assume Peter would have eaten with his Gentile host. Through Peter’s prior vision (Acts 10:9-16), God prepared him to break bread with Gentiles with a clean conscience. How much do you want to bet that the food that was served was pig!?!? 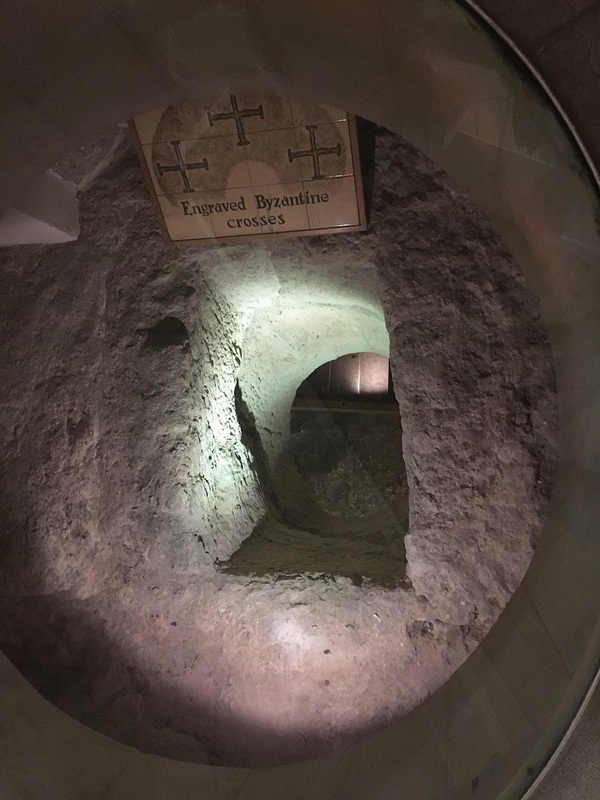 Looking back, the “crazy tomb dweller” turned out to be of major importance to the building of the Kingdom of God. It is so easy to forget the importance of ONE single act of obedience. It is so easy to marginalize people that we don’t agree with or understand. People were never lost on Jesus. The Good Shepherd goes after the one lost sheep. 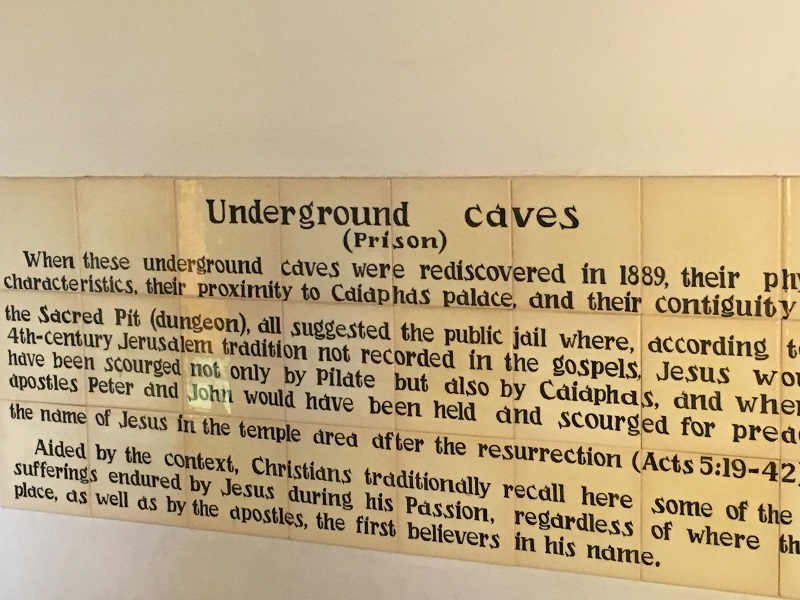 Jesus didn’t need a platform in the Decapolis in the amphitheater or prestige among the Romans to be taken seriously. Jesus went to where no one would have gone to seek and to save that one impossible messy sheep that most would have just let roam. This is Jesus. Jesus is relentless and compelled for you and for me, even in the middle of our mess. Jesus will cross turbulent seas and hunt us down as we hide among the tombs, because He loves us that much. 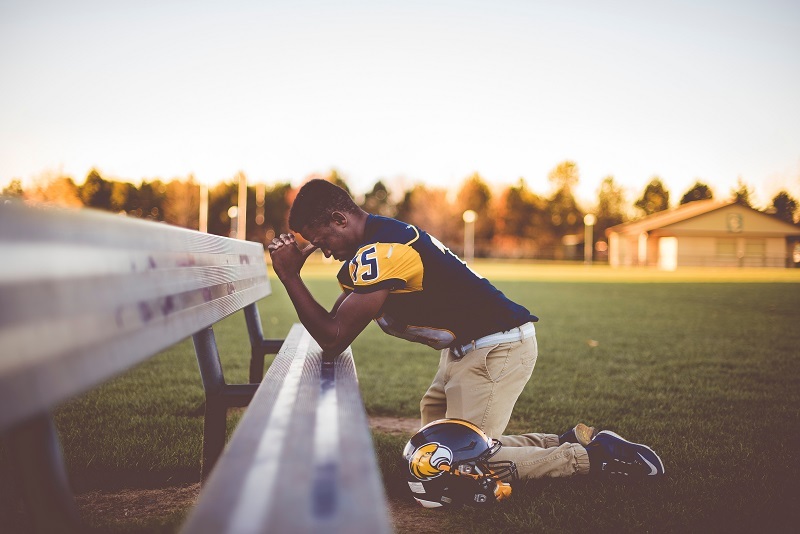 Do you remember a time where Jesus was relentless for you when most would have given up? Where and to whom have you been propelled to share your story of Jesus? The man in the tombs wanted to go with the disciples, but Jesus called him to stay and to share where he was…. often we would rather be anywhere else other than where Jesus has asked us to be. Lord, as You bring others into my life today, give me the Words, the strength and courage to show them Your love…. even the unlovely and messy. Will you share your story here with us about when Jesus was relentless for you? 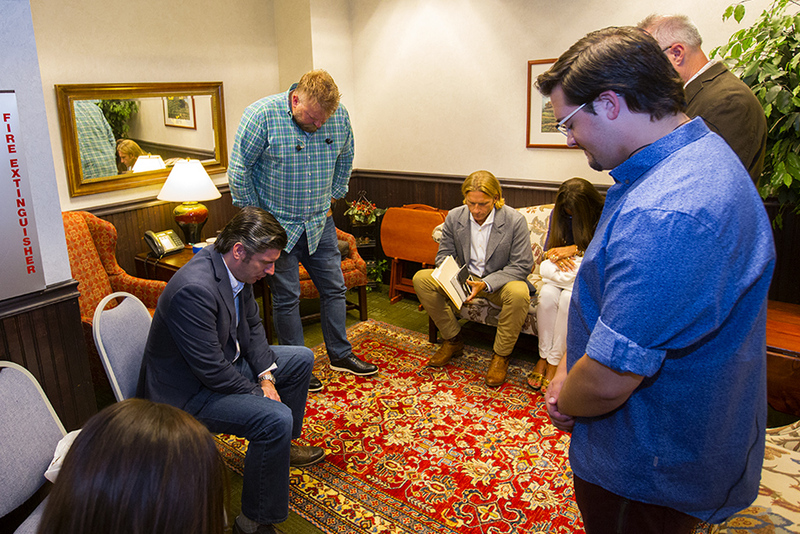 There is power in our stories of how Jesus #delivered us…. After He #delivers us, he #propels us to purpose.